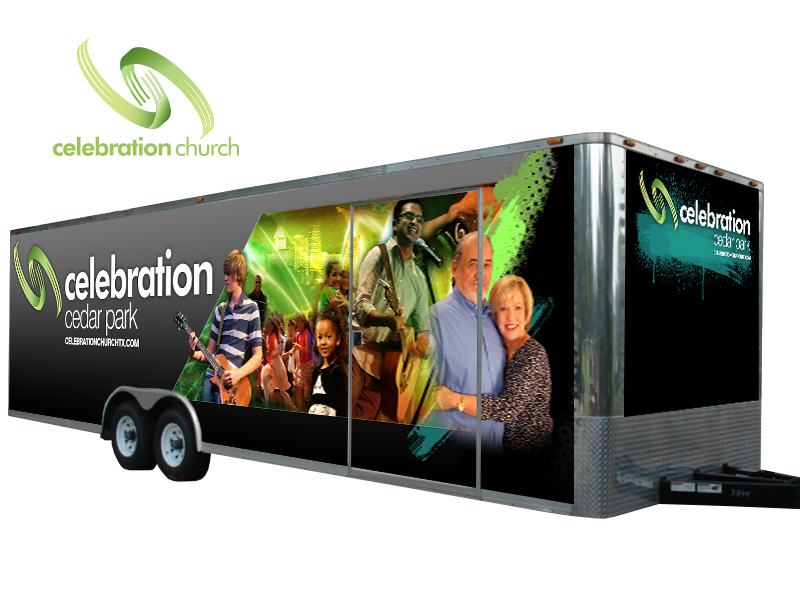 Celebration Church hired me to create a trailer wrap for their new mobile campus in Cedar Park. This artwork wraps all 4 sides of the trailer and is meant to have exciting imagery featuring all age groups, ethnicities and sexes. This trailer parks itself at the location for the church service and becomes an instant sign for anyone driving by to pop in. I created the logo and all the branding for this church. I actually used to be their Art Director and was responsible for creating their brand marketing.